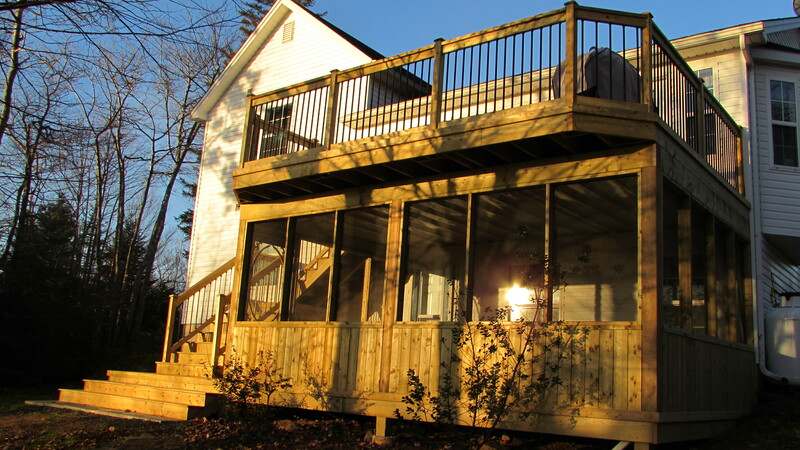 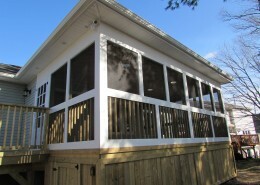 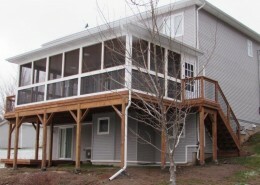 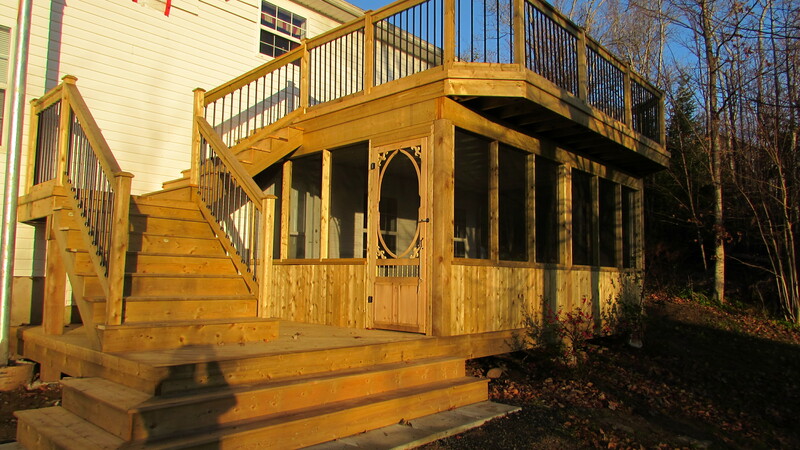 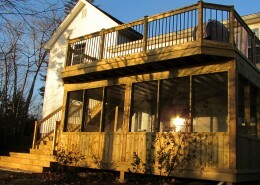 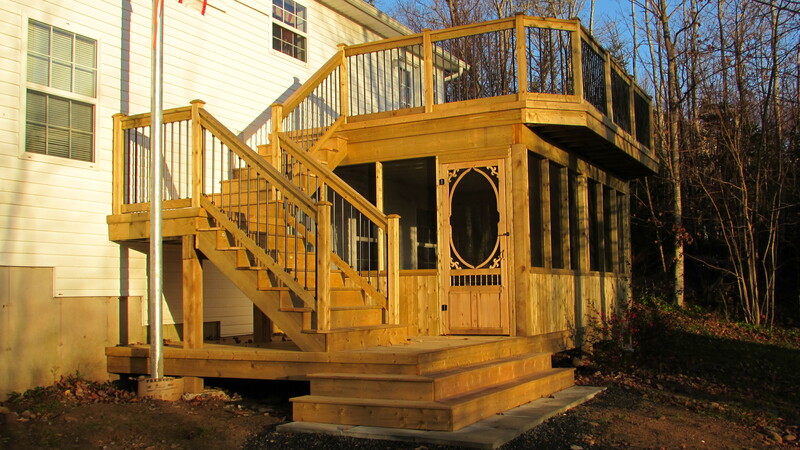 Designed for entertaining in rain or shine, this back screened porch offers indoor comforts for outdoor living. 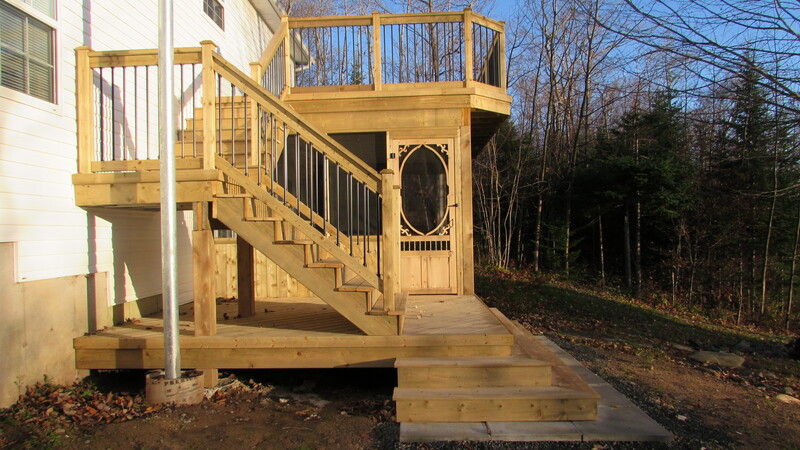 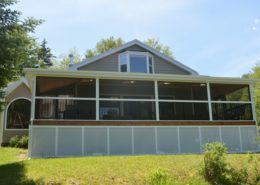 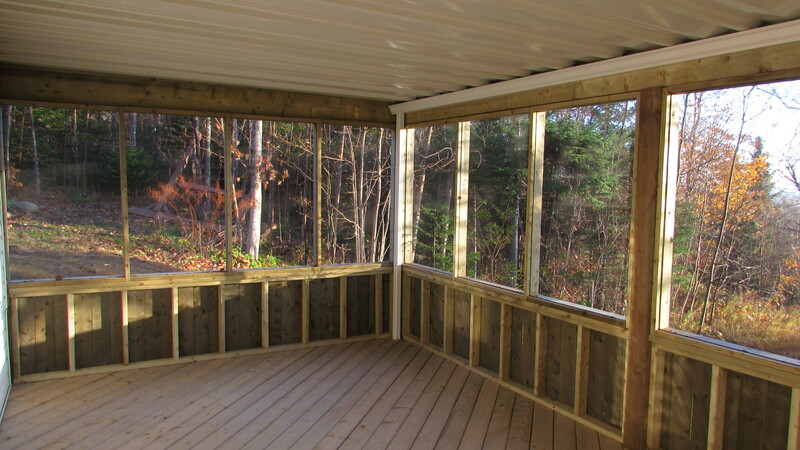 Built with premium pressure treated wood and a dry snap rain protection system, this screen tight enclosure offers a place to enjoy the outdoors a little longer during our short summer season. 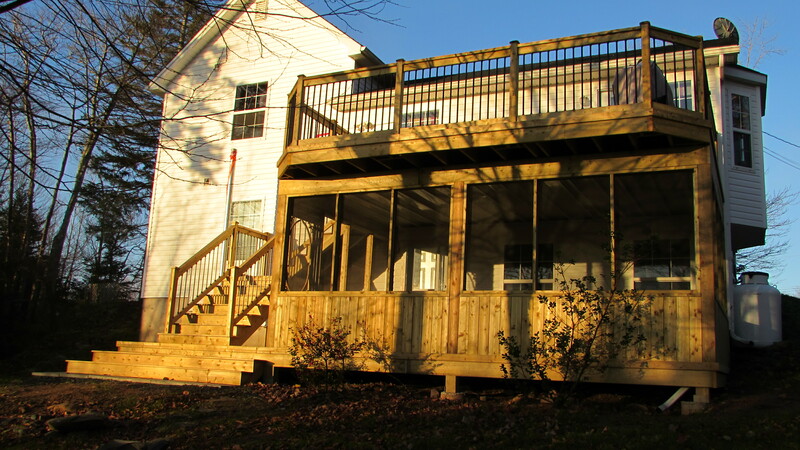 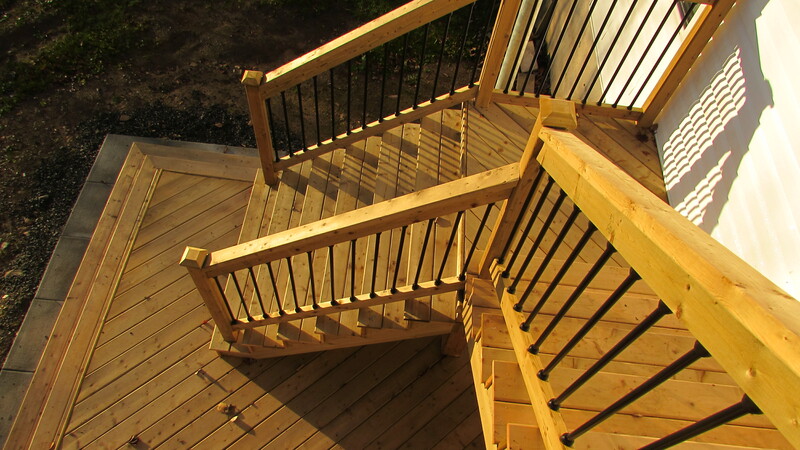 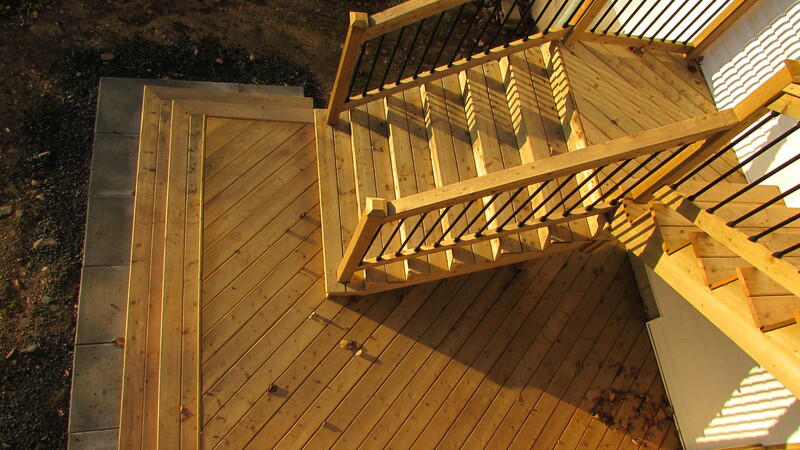 These homeowners love having the options of enjoying the stars on a clear night with a beautiful deck or still enjoying fun family gathering outdoors if it is raining.